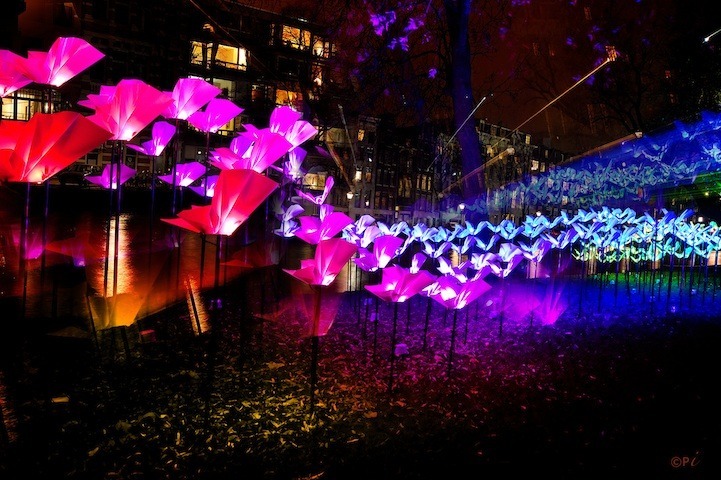 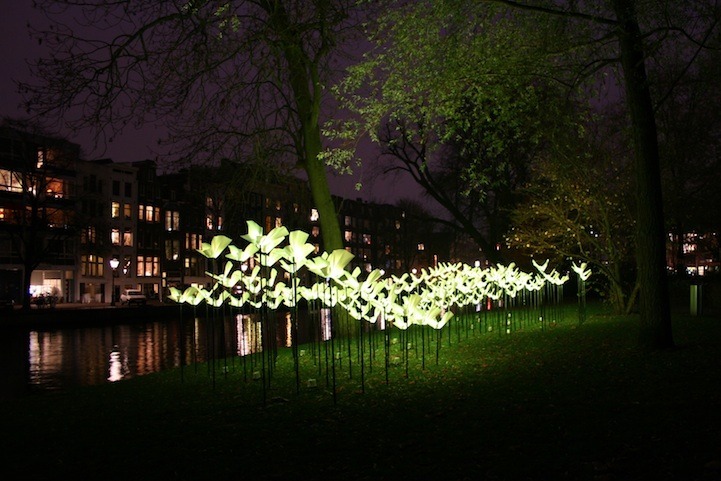 For the Amsterdam Light Festival, which goes on from now through January 2015, Italian design studio Aether & Hemera has created On the Wings of Freedom, a radiant cloud of hundreds of butterflies that hover above the ground. 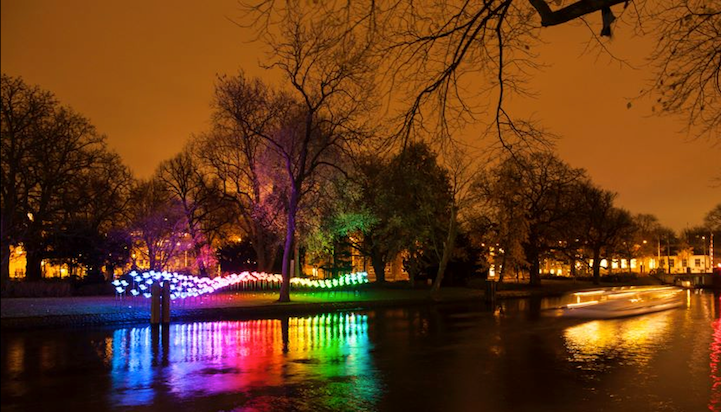 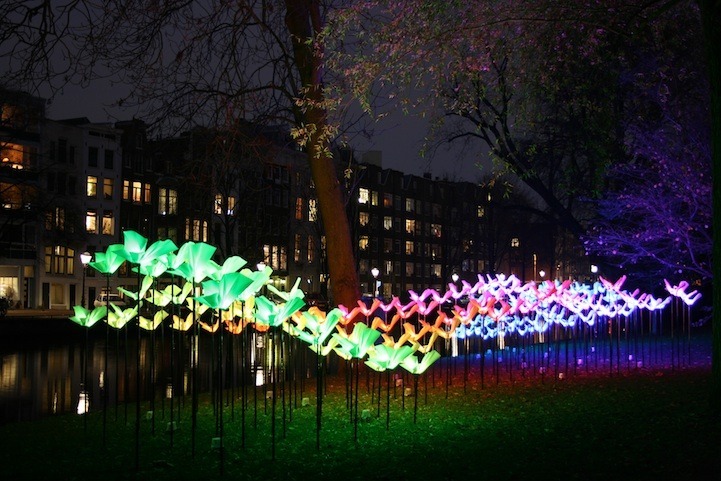 The dazzling installation can be found along the walking route of the festival, at Wertheimpark. 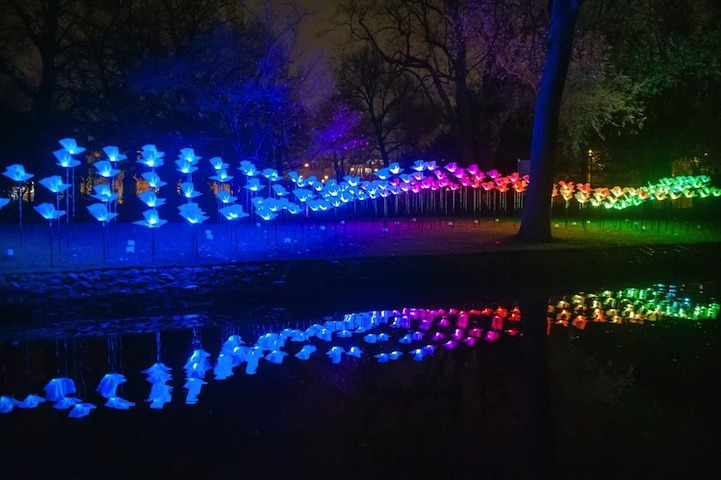 Visitors with a smartphone are welcome to change the lighting effects which means they can manipulate the colors and patterns of light.